We are delighted to announce that Ramos Pinto has been voted among Wine & Spirits Magazine’s Top 100 Wineries for 2016! Each year, Wine & Spirits Magazine release their list of Top 100 Wineries to reward those from around the world that have delivered the best overall performances in Wine & Spirits tastings throughout the year. Wine & Spirits revealed that the “elegant Tawny Ports along with equally harmonious and gentle Douro reds earned Ramos Pinto Top 100 honours”, perfectly timed to honour João Nicolau de Almeida’s retirement. 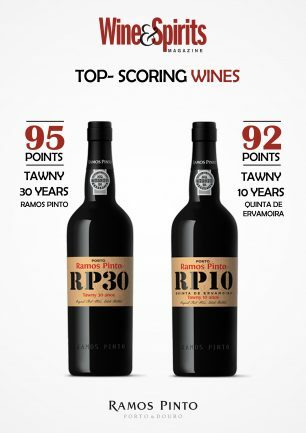 Wine & Spirits’ Top scoring Ramos Pinto wines include the 30 Year Old Tawny (95 Points), 10 Year Old Tawny (92 Points) and the Duas Quintas Reserva 2013 (92 Points). Contact Christine Allen to find out more about Ramos Pinto.